Muddy says: A 50 acre Quaker co-ed day/boarding school for kids 3-18, near Banbury. 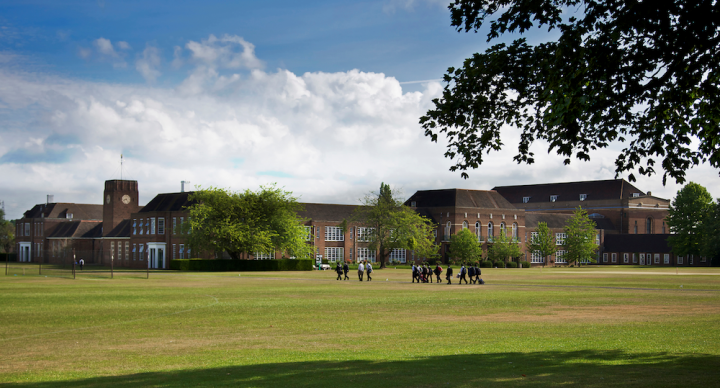 A non-selective school with excellent SEN provision and a large intake of international students, it offers a high level of pastoral care and small class sizes. What? Where? 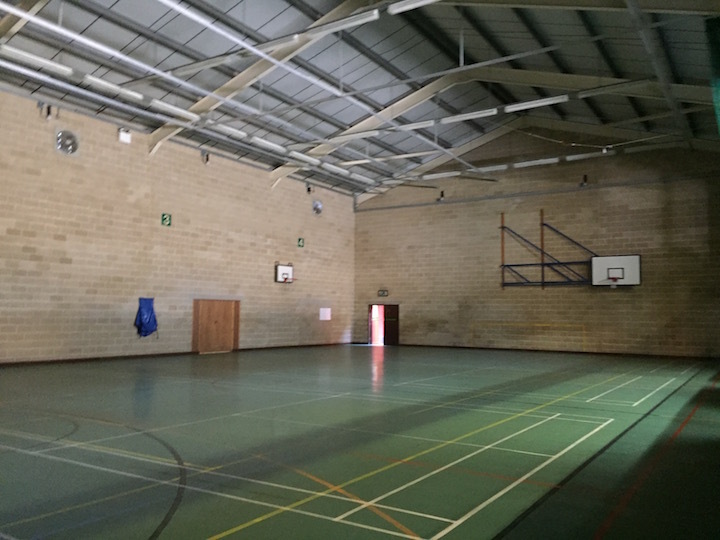 Sibford School is a 3-18 co-ed day and boarding school set in more than 50 acres of grounds near Banbury, North Oxfordshire. Yeah, you read it right, 50 flippin acres! 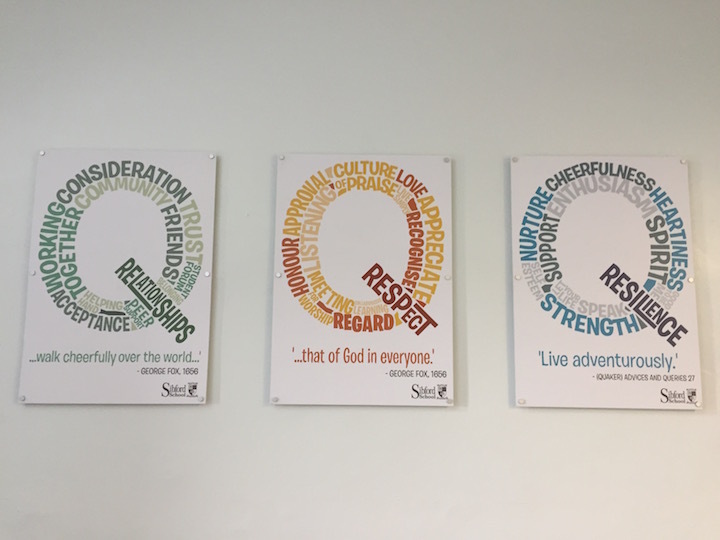 Originally established in 1842 for Quaker families, the school retains its Quaker ethos of seeking ‘that of God in everyone’ (ie finding the good in all children, though good luck with my lot) though you don’t have to be religious to come here. There are just 418 pupils across separate nursery, junior and senior school buildings so what the school misses out in stunning period buildings (think primarily mid century to modern brick) , it makes up for in personal attention – the pastoral care element of Sibford was given ‘Outstanding’ in a ISI report. Also worth mentioning that Sibford is non-selective with up to a third of its pupils having some SEN, the most prevalent being dyslexia, so the SEN department support is rocking it here. Facilities: All the usuals you’d expect with great use made of the grounds for football, cricket and hockey. 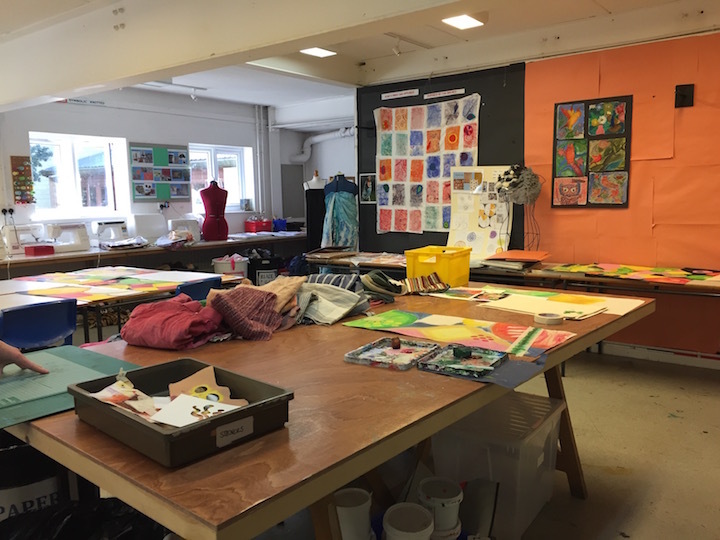 There’s a 25 metre indoor swimming pool that the kids use every week, a 5 lab Science department, fully sound-and-light rigged school hall with raked seating, a fully-equipped recording music studio, and a very impressive art department with large separate studios for painting, textiles, ceramics and sculpture plus a separate Sixth Form art studio too. The DT suite is massive too. What else? Well, outside there’s a large nature reserve, including a pond, place for reflection and an animal shed where they’re currently rearing cows. The kids feed the animals and they end up in the school kitchens, er, ‘helping out’ on the menu. 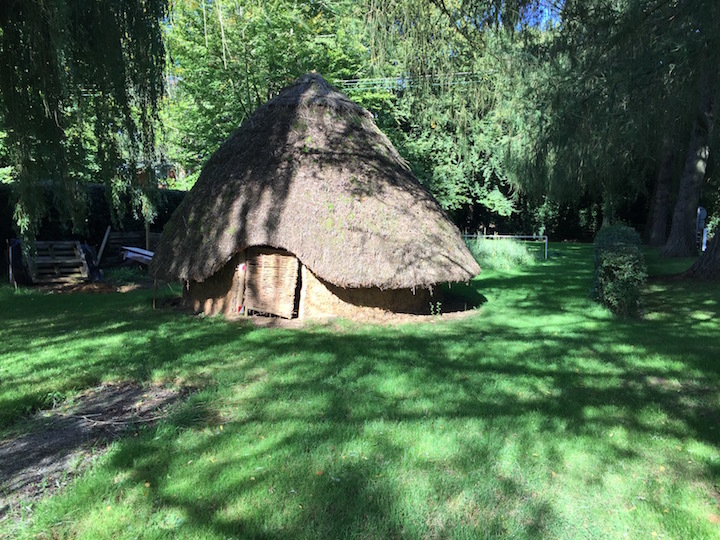 The space is utilised for Forest School, plus there’s a replica Iron Age roundhouse that students made that’s used for outdoor learning. See below, it’s really cool. Academic results: For a non-selective school with such large numbers of kids with special education needs not to mention the international students who often don’t speak English before they arrive, the school does well with 88% of kids gaining A* – C grades at GCSE and with 48% of kids getting A* – B grades at A level. Since 2010 the A level average A* – B has been 45%. They have a couple of kids every year who apply to Oxbridge so the quality of teaching is good, but it’s definitely not a hothouse at Sibford and they put great store on value-added performance, with kids reaching well above their baseline targets from a wide range of starting positions. 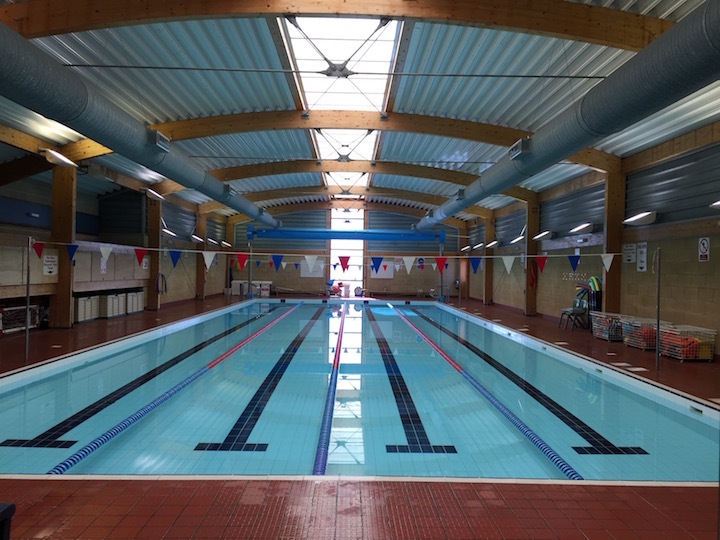 Sport: The pool is a real boon for Sibford – the Year 5/6 boys won Oxfordshire School Games Winners 2016 and the Year 9 girls took a bronze in the Secondary school finals. They hold an annual Rugby Sevens tournament at the school, plus the North Oxfordshire school sport partnership cross country comp – 400 kids panting their way around the lovely grounds – so it’s fair to say they’re into their sport here. Brand new in Sept 16 and super keen is Toby Spence, the 12th head in Sibford’s 174 year history. 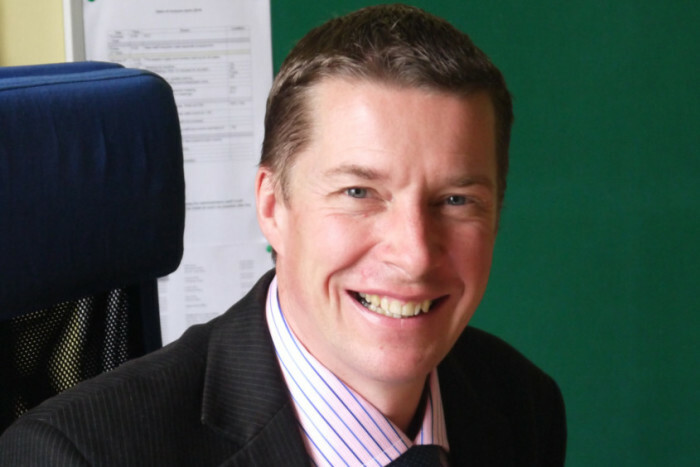 He’s young and personable, has plenty of experience teaching both in the UK and abroad (he’s just come back from Kenya where he was head of a British curriculum school). Like all new heads, he seems keen to make his mark. It’s too early to feel his impact as yet, though he told me that raising academic standards is one of his main priorities in 2017-8, and behind his Quaker smile I suspect he has the steel to do it. He’s also big on outdoor learning and is superkeen on sports, having climbed quite a few South American mountains and taken up mountain triathlons (I kid you not) so perhaps that’s an area that will see further development. 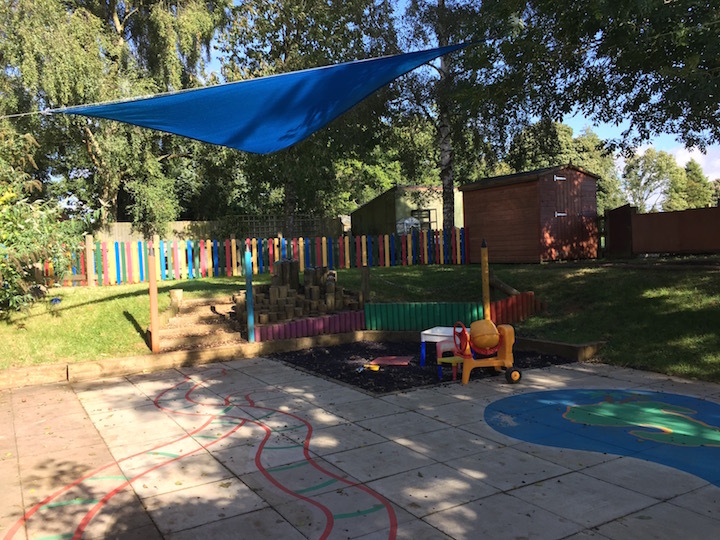 Nursery and Junior School: The nursery is sooooo sweet, with a lovely safe outdoor area, fields to look at all around and a modern building, and takes kids from 3 year old up to Reception. 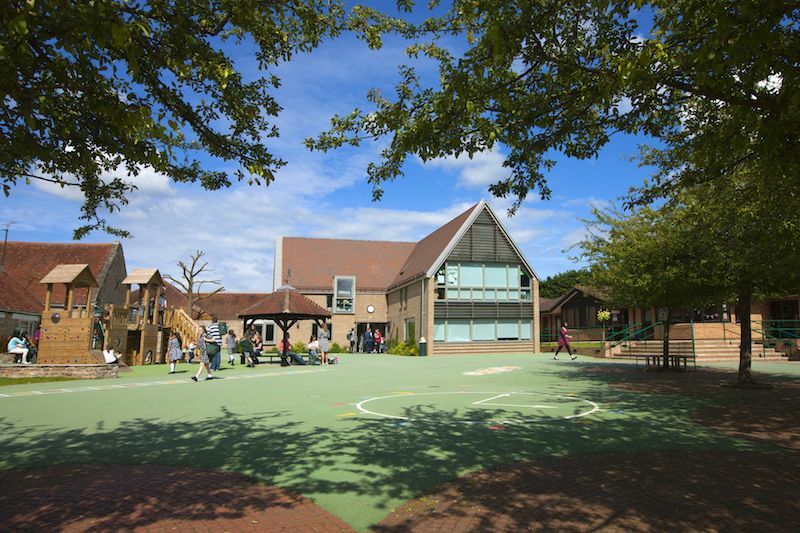 The Junior School (5 – 11 years) is strong, and again has lovely outside areas, a huge wooden climbing and play area, plus access to all the senior facilities. 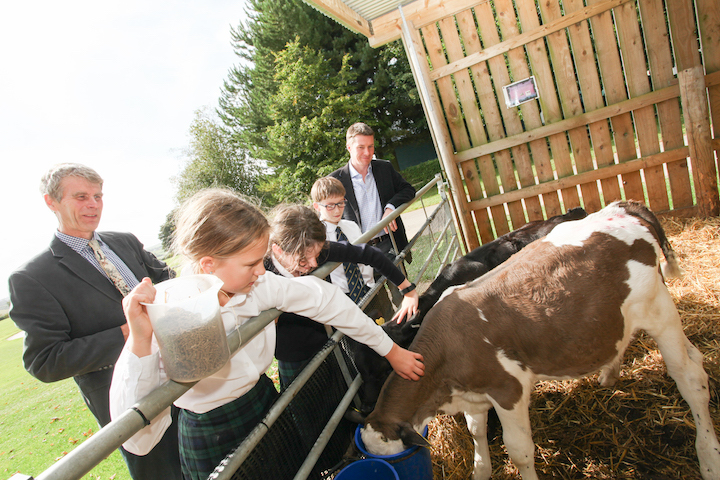 Pupils can board at Sibford School on a full-time, weekly or flexi basis from 11 onwards at one of three boarding houses. Sixth form has a mixed boarding house but fear not Mary Whitehouse, the tip tap of feet across the corridors in the night is impossible as the dorms are separate. Boarding houses and rooms are perfectly fine, nothing flash but perfectly serviceable. If you’re not familiar with Quakerism, you might be thinking it sounds a bit strange. But the 7 central Quaker beliefs in of respect, integrity, simplicity, equality, peace, truth, and sustainability transfer aren’t really about religion in this environment, more a guiding set of life principles. 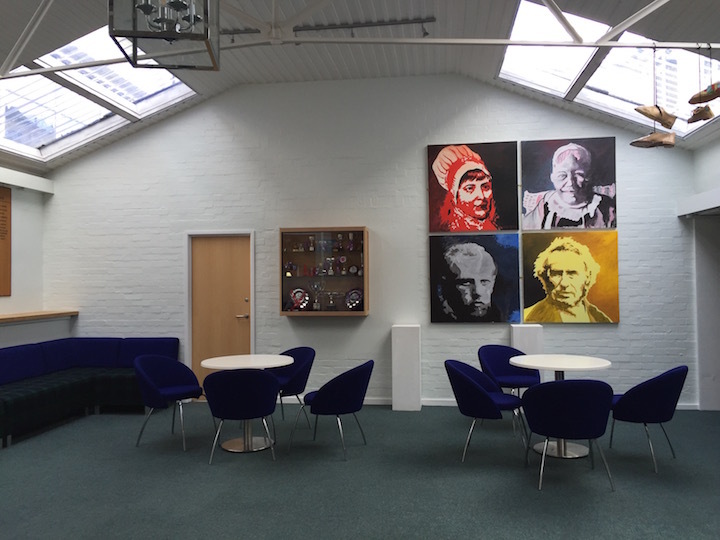 There are some specific Quaker practises like the morning ‘Collect’ meeting which you may never have come across – it’s the Quaker equivalent of the morning assembly which happens in total silence twice a week. This is also where any child or staff member can have ‘Ministry’, when they’re able to stand up and speak without being interrupted about anything that’s important to them. Who’s to know if the kids just zone out and enjoy their 20 minutes chill-time or whether they think deeply about the world around them? In a way it doesn’t matter – just to have some stillness must be amazing (she says rocking back and forwards in the corner). Also, though the curriculum is largely traditional, horticulture is a subject that kids can study here which is fab, and is particularly beneficial for kids who prefer practical work. Wrap-around care: At the Junior School, the teaching day runs from 8.30am – 4.00pm (4.15pm on Fridays), but you can boot your kids in from 8am and pick up after tea at 6pm if your, er, ‘lunch meeting’ is running on. Those timings also stand for the Senior School. Occasional boarding is an option too – just give 24 hours’ notice. Fees: Junior school £2,896 – £3,504 per term; day pupils £4,559 – £4650; weekly boarders £8249 – 8412 per term; full boarding £8,856 – 9,035 per term. 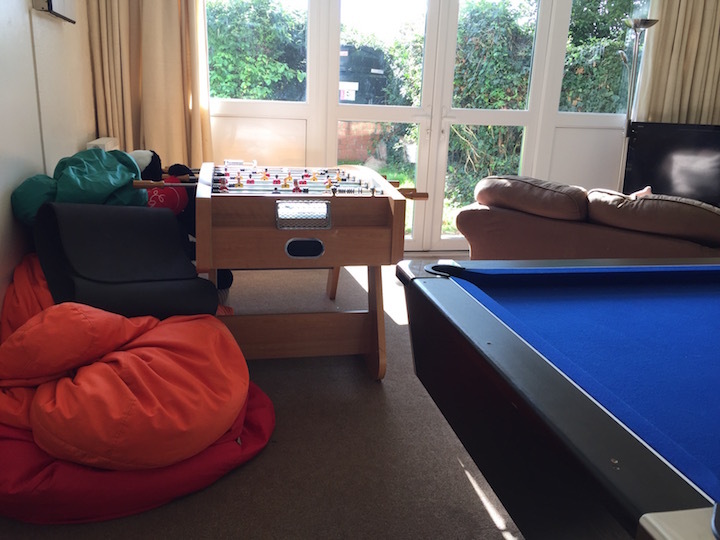 Flexi boarding £58 per night. Word on the ground: It’s definitely a school that’s highly nurturing. 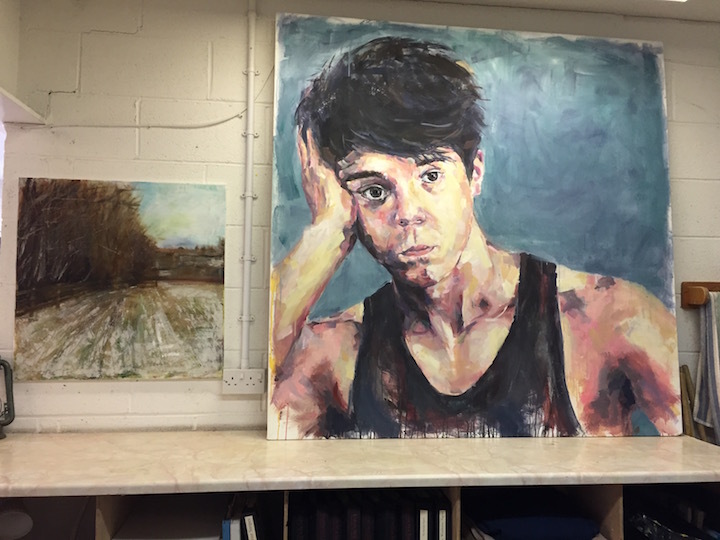 One boy I came across in the Sixth Form art room happily told me, off the cuff, no-one thought he’d get a single GSCE when he came to Sibford as he was so dyslexic, and he was now studying for 3 A levels. That to me was a great endorsement for the best elements of this school. 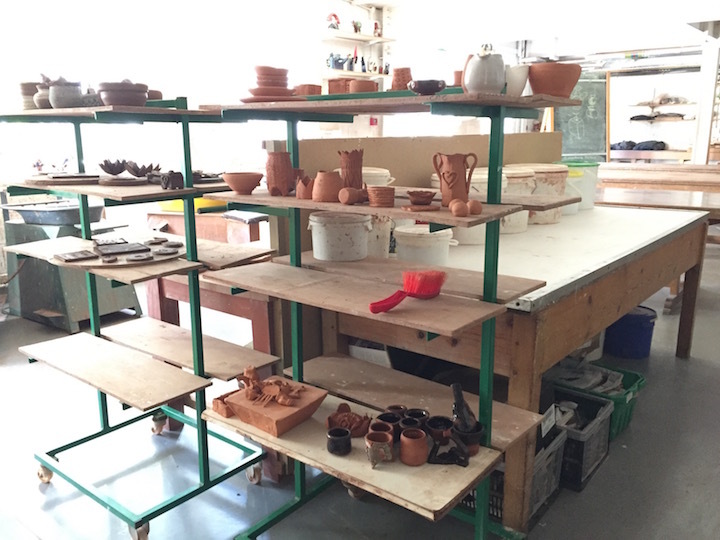 Parents I spoke to love the inclusive, non-judgemental ethos and the mix of students. Good for: Parents looking for a rural, spacious, non-hothousy school with a high level of pastoral care and low numbers. Those who value the diversity of non-selective entry and the inclusion of international students. 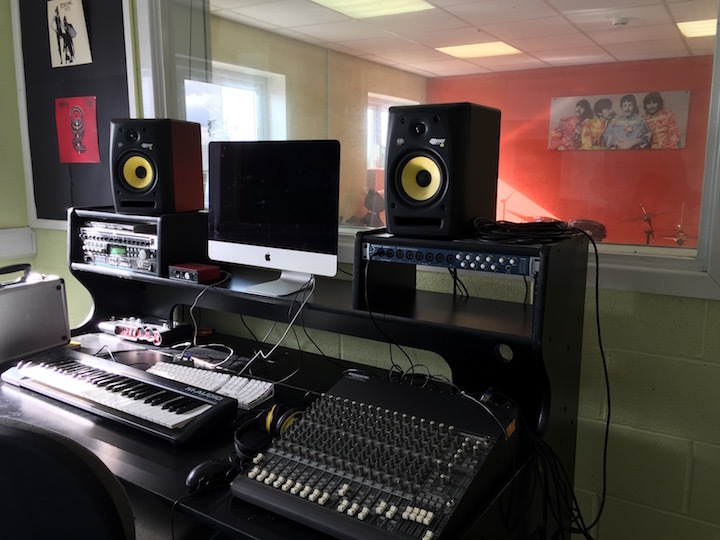 The smaller cohort means that there’s a greater participation in sport, music and the arts amongst pupils and everyone has a chance to shine. As someone whose children pass through 3 different schools, I love the idea of kids moving seamlessly from nursery to junior to seniors in one place. Not for: Those who like their private schools to have all the architectural bells and whistles. The grounds are large and lovely but the buildings, particularly in the senior school, are functional rather than flash. The large proportion of SEN students in the classes might not appeal to parents who want their children to be pushed academically. There’s no full orchestra here so if you’re imagining a mini Royal Philharmonic moment, think again, though there are a plenty of ensembles, choirs and bands. Dare to disagree? There’s an Open Event for the whole school (Junior, Senior and Sixth Form) on Mon 14 Nov from 9.45pm so go along and see if you agree with me. Excellent post! I used to teach Home Economics here for 9 years back in 80s!! It really seems to be going from strength to strength. I attended the school in the 1980s and the description given about the ethos of the school is spot on. I wish I had the funds to send my children. 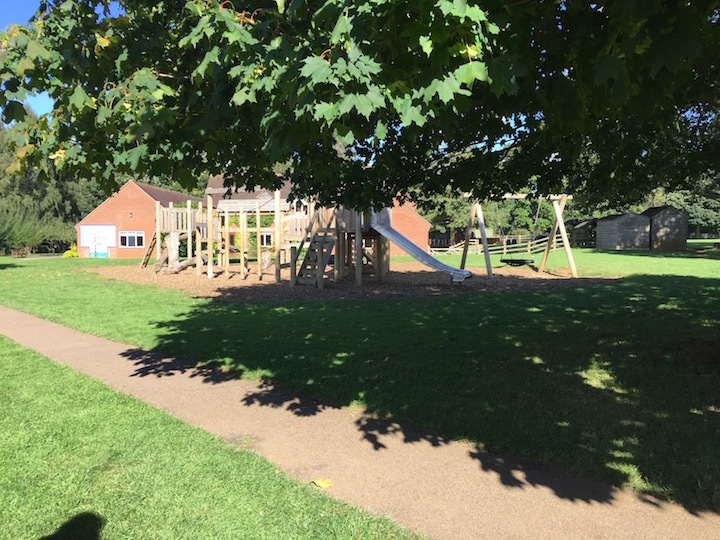 Our son is in the junior school at Sibford and loves it there. As parents we could not be happier. It is a unique and wonderful place and we feel lucky to have discovered it when looking at schools just before our son was due to start school. With the new head in place it feels that there are exciting times ahead and we as a family are looking forward to being part of this new period in the school’s development. We are so pleased with how our son is getting on at Sibford, happy, making great friends, achieving and growing in confidence and trying loads of new things. I love it that they encourage the kids that everyone is unique and talented in there own way… makes for a healthy respect for individuals. Very interesting report and you have captured a lot of the character of the school. We have 3 children at the school at various stages and they are all getting, in our opinion, a well rounded first class education. I would however like to dispel the myth that Sibford is not academic, this is simply not true. If your child is academic and that is where their strength lies, they will be encouraged, motivated, inspired and enabled to do very well academically, without feeling that they have been ‘hot-housed’ They will achieve very well not because they have been forced into non-stop study but because they will have fostered an interest in their studies and will want to do well. There have been some fantastic results achieved by many students, who have gone on to do some fantastic things at University or career wise. Equally though if academia is not your child’s strength but perhaps, Art or Music or Sport then they will be equally supported and encouraged to achieve the best they can in those areas. What is perhaps, most important to note is that students will be treated as individuals and allowed to develop their talents and skills, in whatever area they may be, without being shoehorned into ‘ a one size fits all box’ This I think is fairly unique in a lot of private schools and it produces confident (but not arrogant) well rounded young people, with far more skills to offer than just a set of results. Indeed a very interesting report and excellent PR for a school who so deserves this praise. We made the very hard decision to move our daughters from a local secondary and happy that we did as it was one of the best decisions we ever made. Sibford is a fabulous school which encourages respect and individuality . Our eldest daughter is very academic and was supported to achieve her very best whilst also exceeding at County level at sport . Our youngest is thriving and since changing schools is now back to a happy and confident teenager .Sibford staff go above and beyond to support the well being of all their pupils , their pastoral care and respect they encourage between staff and the pupils is exemplary. And their academic support is second to none . I would encourage all parents to attend an open day . Sending our Year 5 son to Sibford School last September was quite the most difficult but the best decision we as parents have had to make. We cannot speak highly enough of the school and its staff. I totally agree with Heidi regarding dispelling the myth that children who are academically strong are not supported to achieve their potential at Sibford School. Staff quickly identify children’s strengths and weaknesses and tailor their teaching, support and care to the needs of the individual child. Our son was on the G & T register at his previous state school,;he has strong sporting abilities and we have always brought him up to be considerate and kind to others. As a result of this he was bullied over a long period of time and we watched our happy, confident son quite frankly being destroyed. As staunch advocates of the state sector (along with the fact that I was a state school Governor at the time), moving our son to an Independent School was a huge and very difficult decision for us. 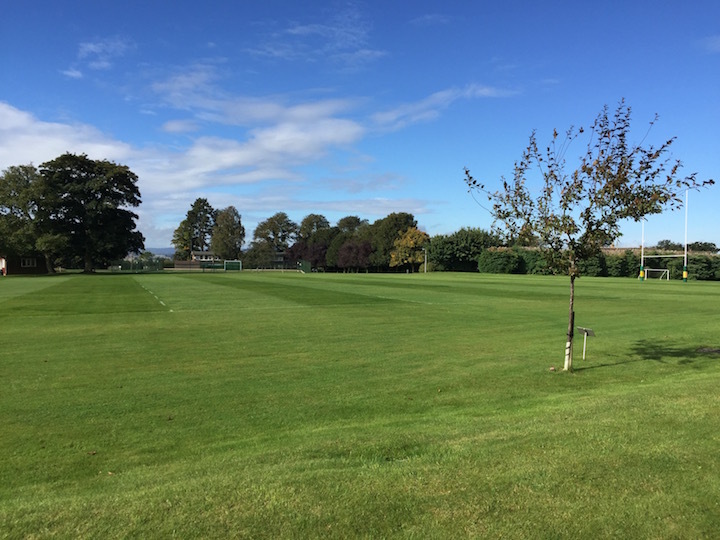 We visited the school on its Open Day last June and the staff, children and other parents we met and chatted to, along with the stunning grounds and extensive sporting provision, convinced us to sign our son up for a taster day. He’s never looked back since. Our bright, outgoing little boy is back with more confidence than he has ever had, he is absolutely thriving. He loves the sporting opportunities offered at Sibford and has been lucky enough to represent the school in a number of sporting events and fixtures. He has additional support in Maths and English and, as a result of the additional more challenging work, we have seen him progress very quickly academically because Sibford School has tailored his educational experience to our child. Pastoral care is equally excellent and as a result of the school’s inclusive, reflective and empowering ethos, our son quickly made lots of new friends and has built strong relationships with the staff. Our son had serious medical issues from a very young age and spent a good deal of time in and out of hospital; as a result we have been particularlly concerned about him being away from home in the event that he became unwell. The fact that the school has a School Nurse on site and robust procedures in place, backed up by well trained staff meant that we have never worried about his medical welfare since he started at Sibford. The school works in partnership with you as parents and it’s genuinely ‘Open Daor’ Policy means that communication is quick and easy, you never feel as though you are being held ‘at arms length). This level of two-way communication and the trust which results has resulted in our son attending an action-packed 5 day Residential Trip in the Lake District, his first big trip away from home? Knowing that he would be well cared for by such kind and dedicated members of staff meant that my husband and I were able to wave him off quite happily and not worry about his welfare whilst he was away. 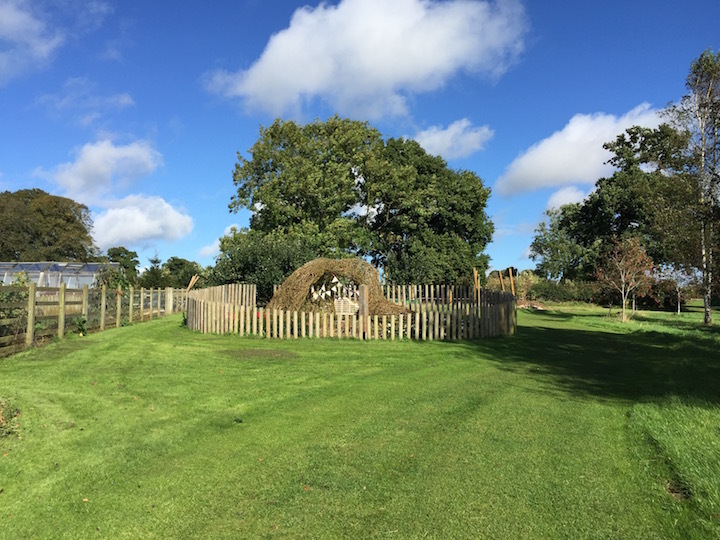 We are great believers in spending time outdoors and the Forest School and wonderful grounds at Sibford School are utilised on a daily basis by the children. A few days after our son started last September, I arrived one day to find the children having their art lesson outside in the orchard, studying and drawing apples freshly picked from the trees. What a wonderfully fulfilling way for the children to observe and interpret the subject of the lesson whilst experiencing all the benefits of the outdoor environment. If my comments seem somewhat idyllic then this is what I intended, as this is exactly how we would describe our son’s educational experience in his first year at Sibford School. In his own words ‘I am working hard and learning so much, but I am having lots of fun at the same time’. And that for us says it all. Thank you for writing this, very nice to read as we have a similar experience. After being moved to Sibford our child has matured in a very positive way. It is like having a new child. He went from being negative, unhappy, struggling, indifferent at his old school to being positive, content ,motivated and self assured at Sibford. His academic results have clearly improved. One of the best decisions we ever made.